Unless otherwise specified, the Site is provided for your personal and non-commercial use. You may not modify, copy, distribute, transmit, display, perform, reproduce, publish, licence, create derivative works from, transfer, or sell any information, software, products or services obtained from the Site. You may display and electronically copy, download and print hard copy portions of the material contained on the Site for your own non-commercial use, provided that you do not modify or delete any copyright, trademark or other proprietary notices. Any other use of materials on the Site, including but not limited to the modification, reproduction, distribution, republication, display or transmission of the content of this Site, without the prior written permission of Jacobs Douwe Egberts IE Ltd., is prohibited. 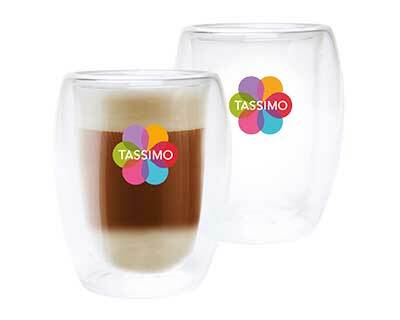 Any material you download, including but not limited to software, files, graphics, data or any other content, is owned by Jacobs Douwe Egberts IE Ltd. or its licensors. When you download these materials, they are provided to you by Jacobs Douwe Egberts IE Ltd. under a licence that is revocable. 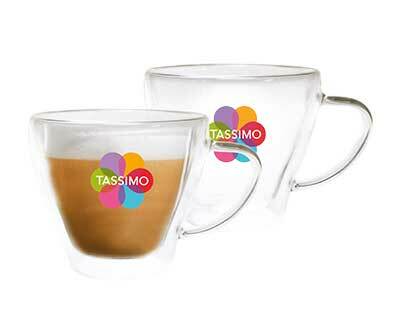 Jacobs Douwe Egberts IE Ltd. retains full and complete title to the software and to all of the associated intellectual property rights. You may not redistribute or sell the material, nor may you reverse engineer, disassemble or otherwise convert it to any other form usable by humans. Jacobs Douwe Egberts IE Ltd. MAKES NO WARRANTIES OR REPRESENTATIONS ABOUT THE ACCURACY OR COMPLETENESS OF THIS SITE'S CONTENT. THIS SITE AND THE MATERIALS, INFORMATION, SERVICES, AND PRODUCTS IN THIS SITE, INCLUDING, WITHOUT LIMITATION, TEXT, GRAPHICS, AND LINKS, ARE PROVIDED "AS IS" AND WITHOUT WARRANTIES OF ANY KIND, WHETHER EXPRESS OR IMPLIED. TO THE FULLEST EXTENT PERMISSIBLE PURSUANT TO APPLICABLE LAW, Jacobs Douwe Egberts IE Ltd. DISCLAIMS ALL WARRANTIES, EXPRESS OR IMPLIED, INCLUDING, BUT NOT LIMITED TO, IMPLIED WARRANTIES OF MERCHANTABILITY AND FITNESS FOR A PARTICULAR PURPOSE, NON-INFRINGEMENT, FREEDOM FROM COMPUTER VIRUS, AND WARRANTIES ARISING FROM COURSE OF DEALING OR COURSE OF PERFORMANCE. Jacobs Douwe Egberts IE Ltd. DOES NOT REPRESENT OR WARRANT THAT THE FUNCTIONS CONTAINED IN THE SITE WILL BE UNINTERRUPTED OR ERROR-FREE, THAT DEFECTS WILL BE CORRECTED, OR THAT THIS SITE OR THE SERVER THAT MAKES THE SITE AVAILABLE ARE FREE OF VIRUSES OR OTHER HARMFUL COMPONENTS. Jacobs Douwe Egberts IE Ltd. DOES NOT MAKE ANY WARRANTIES OR REPRESENTATIONS REGARDING THE USE OF THE MATERIALS IN THIS SITE IN TERMS OF THEIR COMPLETENESS, CORRECTNESS, ACCURACY, ADEQUACY, USEFULNESS, TIMELINESS, RELIABILITY OR OTHERWISE. 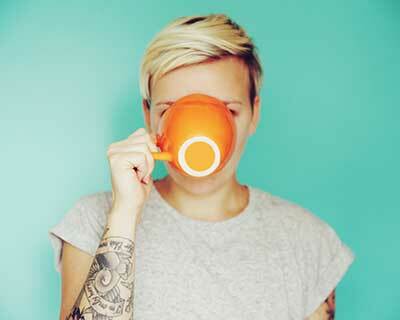 IN ADDITION TO THE ABOVE, YOU (AND NOT Jacobs Douwe Egberts IE Ltd. ) ASSUME THE ENTIRE COST OF ALL NECESSARY SERVICING, REPAIR OR CORRECTION. THIS DISCLAIMER DOES NOT AFFECT YOUR STATUTORY RIGHTS IN RELATION TO PURCHASE OF PRODUCT. IN NO EVENT SHALL Jacobs Douwe Egberts IE Ltd. BE LIABLE FOR ANY DIRECT, INDIRECT, SPECIAL, PUNITIVE, INCIDENTAL, EXEMPLARY OR CONSEQUENTIAL DAMAGES, OR ANY DAMAGES WHATSOEVER, EVEN IF Jacobs Douwe Egberts IE Ltd. HAS BEEN PREVIOUSLY ADVISED OF THE POSSIBILITY OF SUCH DAMAGES, WHETHER IN AN ACTION UNDER CONTRACT, NEGLIGENCE, OR ANY OTHER THEORY, ARISING OUT OF OR IN CONNECTION WITH THE USE, INABILITY TO USE, OR PERFORMANCE OF THE INFORMATION, SERVICES, PRODUCTS, AND MATERIALS AVAILABLE FROM THIS SITE. THESE LIMITATIONS SHALL APPLY NOTWITHSTANDING ANY FAILURE OF ESSENTIAL PURPOSE OF ANY LIMITED REMEDY. FOR THE AVOIDANCE OF DOUBT, NOTHING HEREIN SHALL LIMIT Jacobs Douwe Egberts IE Ltd. 'S LIABILITY FOR PERSONAL INJURY CAUSED BY ITS NEGLIGENCE. You agree to indemnify, defend, and hold harmless Jacobs Douwe Egberts IE Ltd., its officers, directors, employees, agents, licensors and suppliers from and against all losses, expenses, damages and costs, including reasonable attorneys' fees and court costs, resulting from any violation of these terms and conditions or any activity related to your Internet account (including, but not limited to, negligent or wrongful conduct), by you or any other person accessing the Site using your Internet account. We are not providing investment advice through this Site, and the material on the Site should not be regarded as an offer to sell, or a solicitation of an offer to buy, any securities of Jacobs Douwe Egberts If you decide to use any material available on the Site in assessing whether to buy or sell securities of Jacobs Douwe Egberts, please be aware that the material on the Site reflects past performance and historical information only, and that such performance and information is not necessarily an indication of future performance. This Site may provide access to other World Wide websites. Jacobs Douwe Egberts IE Ltd. does not control these sites, and you access them solely at your own risk. Jacobs Douwe Egberts IE Ltd. also does not endorse or approve any products or information offered at sites you reach through this Site. Check the Uniform Resource Locator (URL) address provided in your WWW browser to determine if you are still in this Jacobs Douwe Egberts IE Ltd. Site or have moved to another website. 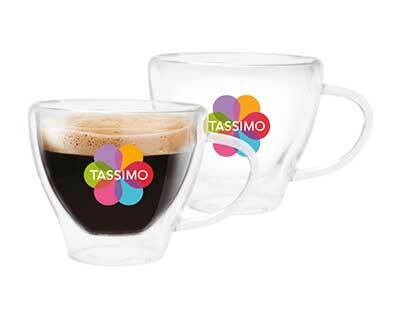 Jacobs Douwe Egberts IE Ltd. controls and operates this Site from the Republic of Ireland. This Site is only intended for use in the Republic of Ireland and, where indicated, Jacobs Douwe Egberts IE Ltd. in no way warrant or imply that the materials on the Site are appropriate for use outside of the Republic of Ireland. If you use the Site from a location outside of the Republic of Ireland , you are solely responsible for compliance with any applicable local laws. You may not use or export the materials on the Site in violation of Irish export laws and regulations. Any claim relating to the website or your use of it shall be governed by the laws of the Republic of Ireland , without regard to its conflict of laws provisions, and you agree that jurisdiction and venue in any legal proceeding directly or indirectly arising out of or relating to this Site shall be in the courts located in Republic of Ireland. This agreement is effective until terminated by either party. You may terminate the agreement at any time, by destroying all materials obtained from this Site, along with all related documentation and all copies and installations. Jacobs Douwe Egberts IE Ltd. may terminate this agreement at any time and without notice to you if, in its sole judgment, you breach any term or condition of this agreement. Upon termination, you must destroy all materials. If any provision of this agreement is unlawful, void or unenforceable, the remaining provisions of the agreement will remain in place. This is the entire agreement between you and Jacobs Douwe Egberts IE Ltd. regarding all aspects of your use of this Site. © 2015 Jacobs Douwe Egberts IE Ltd. - All rights reserved. To register you must be over 18 and a resident of the Republic of Ireland. 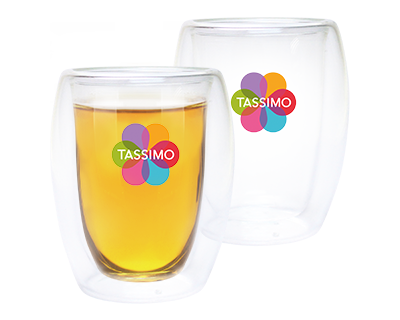 Additional benefit for those Registering with a new TASSIMO machine - Online Shop Discount. 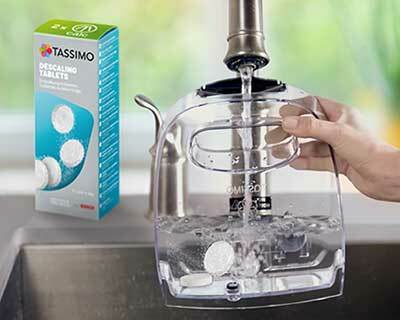 By entering a valid unique serial number from a TASSIMO Brewer, you will be entitled to receive a Discount Code offering two credits of €10 each towards a purchase made at the TASSIMO online shop provided you spend at least €25 (excluding delivery charges). Two Discount Codes will be sent to the email address specified at time of registration. Please allow up to 28 days for receipt of Discount Codes. Eac discount can only be applied against one order, and no unused value can be carried over. Standard delivery of €3.99 will be added to order values of less than €30. The first order must be placed within six weeks of the date of dispatch of the Discount Code email. 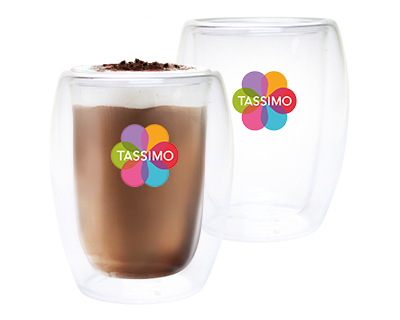 Offer is restricted to two Discount Codes per myTASSIMO registration with a valid client or serial number and a maximum of four Discount Codes per household in any 12 month period. Invalid or incomplete client or serial numbers will not be accepted. 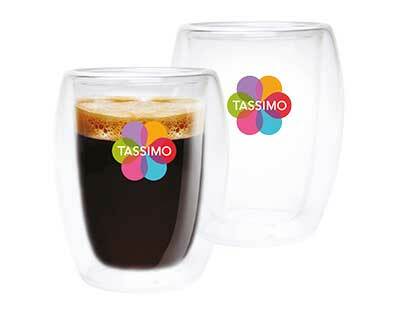 Normal TASSIMO shop terms and conditions, including payment terms, apply to all orders made using the Discount Code(s). 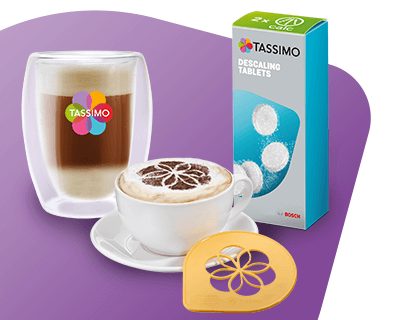 myTASSIMO is brought to you by Jacobs Douwe Egberts IE Ltd. We will hold personal information related to myTASSIMO members' interests, reward choices, participation in promotions, offers and visits to the myTASSIMO website (and its sub-sites). This information will be used for analysis and research as well as being used to optimise our choice of promotions. It will not be passed on to any unaffiliated third party without members’ consent. Indemnity. 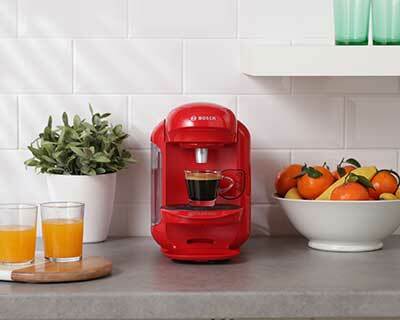 By registering, you agree to indemnify and hold Jacobs Douwe Egberts IE Ltd. , its subsidiaries, affiliates and their respective officers, agents, partners and employees, harmless from any loss, liability, demand, claim or legal proceedings brought or threatened, including expenses, arising from your use of or conduct in regard to myTASSIMO, or the benefits and/or any breach of these terms and conditions. Choice of law and Jurisdiction. These terms and conditions shall be governed by and interpreted in accordance with Irish law and the jurisdiction of the courts of the Republic of Ireland.